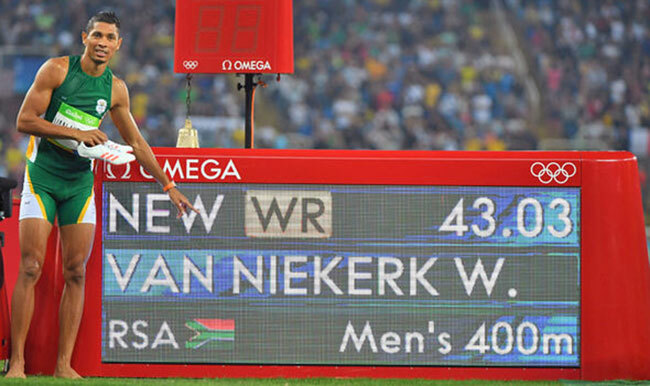 One of the most hyped races of the Olympic Games lived up to the billing, as Wayde van Niekerk won the 400 meters in an astonishing world record of 43.03. He demolished Michael Johnson's 17-year-old world record of 43.18 and Olympic Record of 43.49 from 1996 when Johnson won the 200-400 meter double. The South African became the first man to win the Olympic gold from Lane 8. Kirani James of Grenada took second in 43.76 and LaShawn Merritt of the U.S. finished in the bronze medal position in 43.85 seconds. 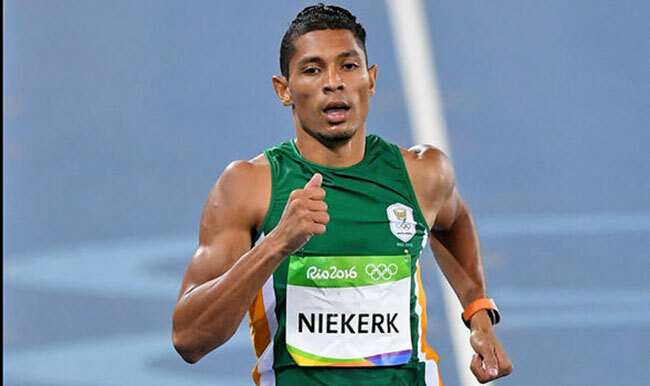 In last year's world championships in Bejing, van Niekerk won in 43.48, leading three men under 44 in the same race for the first time ever. Merritt was second in 43.65 and James was third in 43.78. He led the same trio under 44 again in Rio, but this time he flirted with the 43 second barrier. 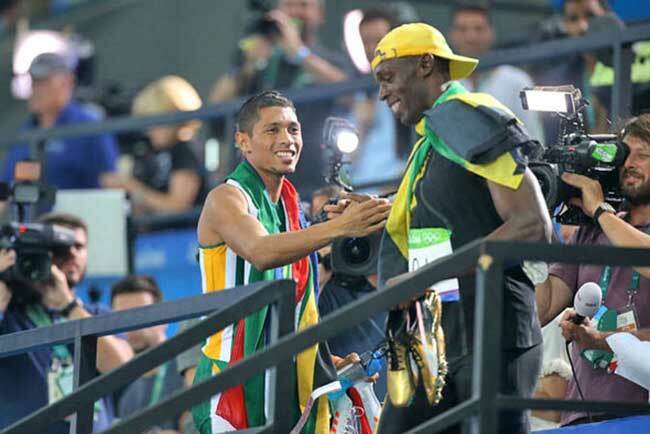 James, from Grenada, won gold in 2012 in 43.94, but was hadn't won a global title since that win. Aside from his bronze in the 2015 world championships, he had struggled to perform on the national stage. Merritt had won gold in 2008, but served a doping ban before the 2012 games, where he finished second. 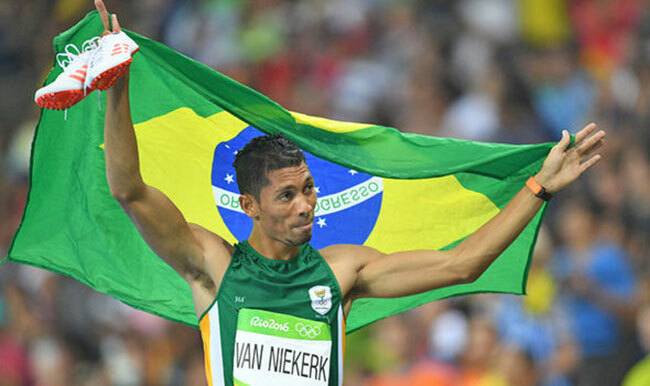 For van Niekerk, it was the moment of the Olympic Games on the track.